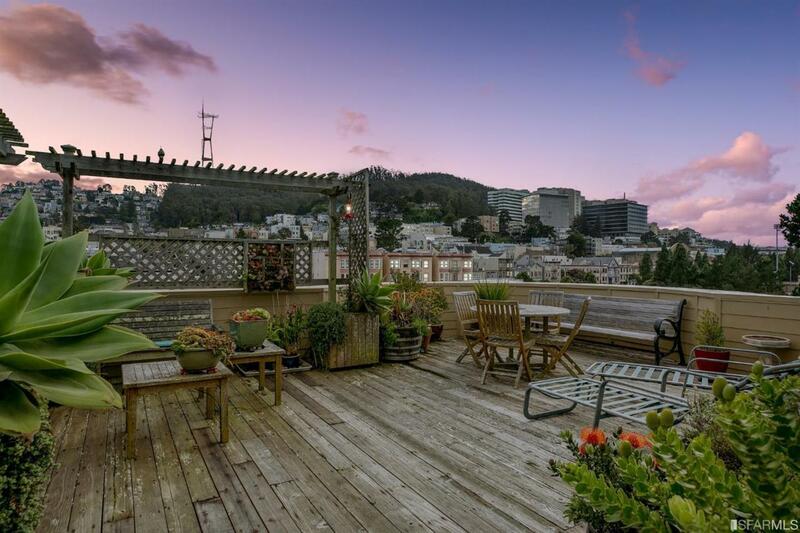 Grand & stylish 1 bed, 1.5 bath condo featured on HGTV, located in the lovely Cole Valley. 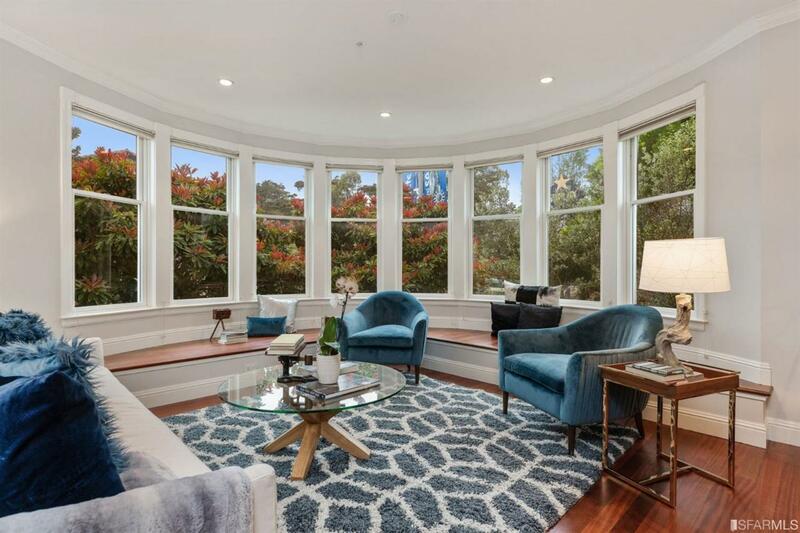 This home's spacious and bright living room features tall, double paned, barrel front windows with built-in seating, offering an abundance of natural light and views of Golden Gate Park greenery. Perfect for entertaining, the upper level boasts an open living and dining floor plan, radiant heat, with a powder room and gourmet kitchen boasting granite countertops and stainless-steel appliances. Downstairs is a spacious master suite with walk-in closet, separate laundry closet, and a newly renovated master bath with large shower and bath tub. This level leads to a private, landscaped backyard and patio with a hot tub, perfect for relaxing and basking in the indoor-outdoor paradise. Enjoy Sutro Tower, Kezar, and Golden Gate Park views from the roof deck, one car side by side garage parking, and dedicated storage unit. With a Walkscore of 96, you are steps from Whole Foods & Cole Valley hot spots. Listing provided courtesy of Michael L Bellings of Compass.